Streptococcus Pneumonia, Clinical Findings-Lab Diagnosis-Treatment. Individual organism is lancet shaped. Mostly in Pairs or sometimes in short chains. 1. Aerobic or facultative anaerobes. 2. Ferments glucose and produce lactic acid but not gas, Lactic acid limits its growth. 3. Optimum temperature for growth is 37 degree centigrade. 4. Growth is promoted by 5-10 % CO2. Enzymes and Toxins Produced by Pneumococci. 1. IgA protease enhances organism's ability to colonize mucosa of upper respiratory tract. 2. It produces a toxin called pneumolysin. It binds to cholesterol in host cell membrane and Inhibit antimicrobial properties of neutrophills and opsonic activity of serum. Hence it enhances the virulence of organism and organism becomes more infectious. Its normal habitat is upper respiratory tract and it transmits via respiratory droplets. It causes following lesions or diseases. It is characterized by exudation of fibrinous edema fluid in to alveoli, followed by Red blood cells and leukocytes, many pneumococci are also present in alveoli. This causes consolidation of portions of lungs which can be seen in X-rays. b) Sharp pleural pain and friction rub. c) Cough, at first dry or productive of thin watery sputum, later sputum becomes bloody or rusty. d) Spontaneous recovery occurs between 5th and 10th days, associated with development of type-specific development of antibodies. 2. Bacteremia and Its Complications. 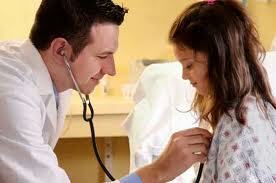 Other complications include; Sinusitis, otitis media, pericarditis, Empyema adn septicemia. Pneumococcus is the second common bacterial pathogen that causes meningitis in adults. a) It may arise as a complication of pneumonia, in which pneumococci reach the meninges by way of blood stream. b) It may result from a skull fracture permitting pneumococci from nasopharynx to enter the meninges. It is responsible for 50 % cases of otitis media in children. Type- specific immunity to re infection with pneumococci, develps. It is due to type specific anticapsular antibodies. Augmentin (amoxacilin + calavulanic acid) is drug of choice.